A list of the most frequently asked questions from our tour attendees. How do I book tickets for a tour? Know the location you’re planning to visit? Choose ‘Book Your Tour’ in the top navigation bar and use the search field to find your location to see date availability. Also within “Book Your Tour’ are other search filters. Follow the prompts to purchase your tickets. Be sure to choose your location, dates and times carefully! Tickets are non-transferable between locations, and requests for cancellation/refund must be made 48-business hours in advance of the tour. 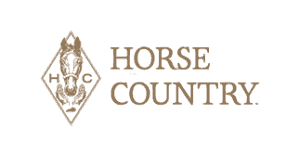 What is Horse Country’s cancellation policy? Rescheduling tours (pending availability) or cancellations require notice of at least 48 business hours before the tour time. Tickets for tours during peak tourism times (Kentucky Derby week, Breeders’ Cup week, etc) will be non-refundable. Cancellations are not available for weather or specific horses not being available. In case of a weather-related cancellation, a rain date will be offered. For guest no-show or late arrivals, refunds will not be issued. Tours are rain or shine. No public restrooms. Please refer to your email order confirmation to see the instructions on when to arrive for your tour. Tickets start at $20 per adult per tour and $11 per child (under 12 years old) per tour. This includes your gratuity, so it’s one easy price! Most tours are approximately one hour, although some of our locations offer one hour and a half tours. Some tours last up to 2 hours. The length of each experience will be noted in the tour description. Tours require walking/standing throughout the duration of the tour. May I walk up to a tour at its scheduled time without advance ticket purchase? No. Every individual must be ticketed in advance. On-site/on-the-spot reservations are not currently available. When you purchase your ticket, you will receive an email confirmation but we do not have paper tickets to present to the location. Do I have to purchase a ticket for a baby/toddler? Children ages 0-2 years old do not need a purchased ticket. However, for safety reasons, the infant/toddler will need to be carried or in a stroller for the duration of the tour. Some Horse Country tours are better suited for children than others. Feel free to give the Horse Country office a call if you have questions about your group: [email protected] or 859-963-1004. How do I find out about upcoming tour availability? Subscribe to our email updates through our website to be automatically notified of new tour dates and promotional packages as they become available. Our subscribers are always given advanced notice of when tour tickets will go on sale to the public. Is there a military/senior/student discount? We are currently working on providing a military/senior/student discount for Horse Country tours. Is there a bundling discount? We are currently working on providing our customers with a discount for purchasing multiple Horse Country tours. There are many wonderful places to stay here in Lexington. Please go towww.visitlex.com for information of accommodations available in the area. There are many wonderful restaurants to check out here in Lexington. Please go to www.visitlex.com for information of restaurants in the area. You can also request a copy of Beyond Grits from VisitLEX – the locals love these unique picks. We are happy to pass on special requests to the tour locations for approval on a case-by-case basis. You can “buy out” a full tour at a location with availability. Guides are also available to plan private/customized tour experiences. Please contact us at 859-963-1004 or at [email protected] You can also check out “Guided Tours” under the “Plan Your Visit” link for a list of professional tour operators. How long will it take me to get from one place to the other? You can click on the tour location name through ‘Book a Tour’ or ‘Calendar’ and see the address of each tour location and then use Google Maps to look up directions in between the tour locations. Please note that the tours run on a scheduled time and will not wait for attendees who arrive late to the tour. Can I book more than one tour per day? Yes. You can book as many tours as you would like as long as you are able to get yourself to your tour locations at the specified time of arrival. What type of tour experiences are there? Horse Country offers tours at over 20 different locations that include stallion farms, nurseries with mares and foals only, veterinary clinics, aftercare facilities, a sport horse farm, and an equine feed mill! Dogs are not permitted on the tours for safety and management reasons. Can we arrive in an RV? Parking can be limited at different tour locations so please be sure to contact Horse Country at 859-963-1004 to confirm if your preferred tour location can accommodate an RV. How can I book a tour with a tour guide operator? Horse Country works with many tour guide operators who can put together a customized itinerary for multiple Horse Country tours. Please visit ‘Guided Tours in Horse Country’ to see a list of tour guide operators to contact them directly. What are the extra fees on my tickets? Horse Country member experiences are taxable under the Commonwealth of Kentucky’s new tax legislation effective July 1, 2018. All tickets are subject to Kentucky’s 6% sales tax, which is collected and remitted to the Commonwealth. A 15% fee is collected by Anyroad to cover service fees and credit card processing. This fee is not received by Horse Country and is not eligible for refund if a cancellation is requested. Do I have to have paper tickets? No! Our ticketing system will email you a confirmation of your order, but there are no physical/paper tickets to print or present at the time of the tour. Your host location will have you on a list of confirmed guests according to your confirmed transaction. If you did not receive an email confirmation at the time of purchase, please reach out to us: 859-963-1004 or [email protected] to confirm the status of your reservation. We need help with transportation / itinerary / want to ride a bus – who should we contact? Please be sure to check out ‘Guided Tours in Horse Country’ through our website to have access to many tour guide operators who can help arrange a tour group request, or coordinate visits to tour operator exclusive locations (Airdrie Stud, Darby Dan).